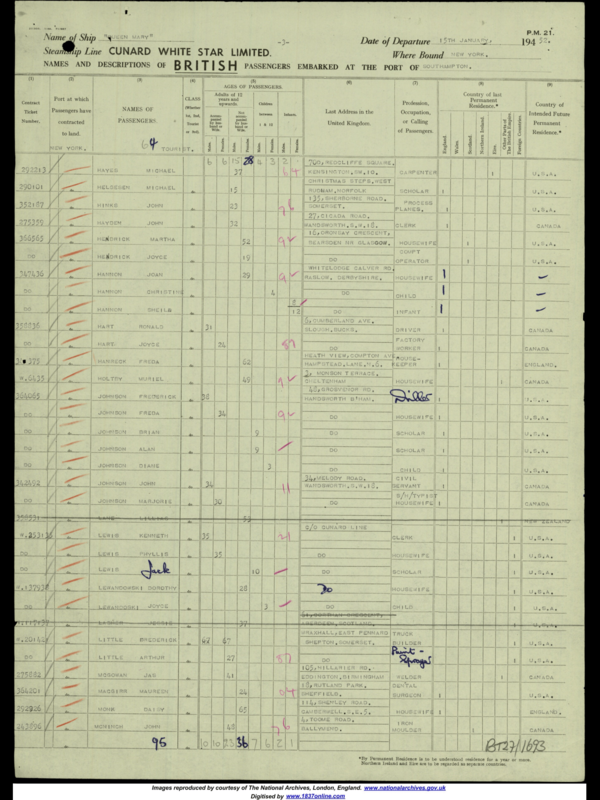 The entry on the Cunard passenger list for my grandmother, Daisy Monk, pictured top. In 1952 – eight years before I was born – my grandmother set sail across the Atlantic on Cunard’s Queen Mary. She was off to see my aunt, who had emigrated to Canada with her husband, a soldier she met during the war who had taken her back to his homeland. Daisy Monk, described in the passenger list as a 65-year-old housewife from Camberwell in south-east London, didn’t enjoy her crossing. A widow since the death of her husband Frank, 23 years her senior, she shared a room with three strangers in ‘tourist’ class. The journey to New York was rough and when she arrived there was no one to meet her but she eventually caught a train and met up with her daughter, who had a two-year-old son. 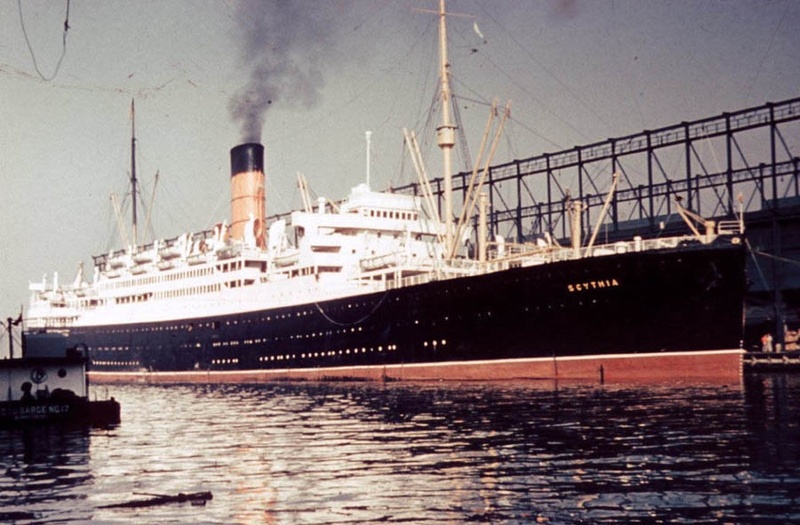 Coming back, Daisy decided to take another Cunard ship – the Scythia – from Quebec, arriving in Southampton on July 7. This year, I too am crossing the Atlantic, on Queen Mary 2, though hopefully in considerably more comfort. My wife Mandy and I will be doing the trip in reverse, having flown to New York and stayed a few days in Madison Avenue. 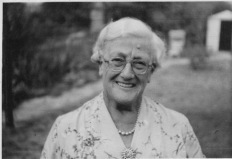 I’ll think of my grandmother, who died in 1965, as we sail back. To tie up the loose ends, my aunt in Canada went on to have a second child, a daughter, and I’m still in contact with both cousins. Of my grandmother’s sons and daughters, only one survives, an 89-year-old aunt of mine who lives in Kent. It was she who told me about her mother’s rough voyage. The 82,000-tonne Queen Mary last sailed in 1967, when she was sold for £1.2million to become a tourist attraction in Long Beach, California. Carnival Corporation decided to build the 150,000-tonne Queen Mary 2 after its chairman Micky Arison was inspired to recreate the grandeur of transatlantic sailings by the 1997 film Titanic – missing out the tragic ending, naturally. QM2 entered service in January 2004 and is the world’s biggest ocean-going liner with a standard of luxury and comfort my grandmother, bless her soul, could only have dreamed of. Footnote: Below is a video of Queen Mary crossing the Atlantic in 1952, reproduced by permission of Shipgeek – it looks too sunny to be January but the voyage seems just as rough! This entry was posted in History and tagged California, Camberwell, cruise, Cunard, Daisy Monk, Halifax, history, liner, Long Beach, Micky Arison, Newfoundland, QM2, Queen Mary, Queen Mary 2, Titanic, transatlantic. Bookmark the permalink.